Pastor-in-charge of Household of God Church, Reverend Chris Okotie has on Sunday declared his intention to contest for presidency in the general election come 2019. Okotie made this known during a Church service to honor Nigeria’s 58th year Independence celebrations at the Household of God Church in Oregun, Lagos. The musician turned pastor also used the platform to ask other political parties to adopt him as a consensus candidate to run against incumbent Buhari in the coming election. He added that he had emerged from his political dormancy and was convinced that Nigeria needed a credible, dependable and trustworthy leader to lead the country. The cleric who has tried contesting for presidency on three attempts and failed-2003, 2007 and 2011, declared his intention to run for the presidency under the platform of the Fresh Democratic Party. Punch reports that the reverend had earlier revealed that he wrote to the national chairmen of the two main parties, asking them not to field any presidential candidate for next year’s general elections but to adopt him, Okotie, as a consensus presidential candidate. He said “I am fully persuaded that Nigeria needs a man who is credible, dependable and trustworthy. A God-fearing man who is embroidered with compassion and love for (this) country. A man who will be readily accepted as a symbol of national unity, who can bring genuine reconciliation and guarantee peace and tranquility in our nation. 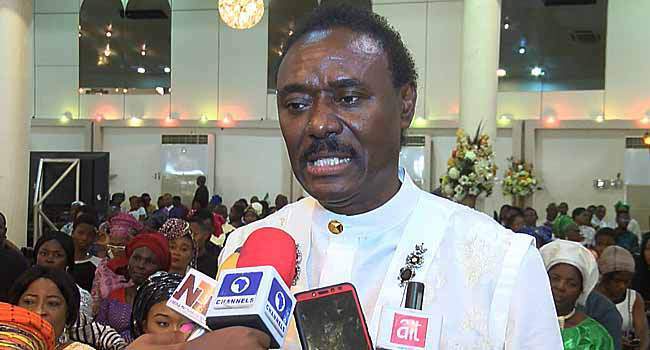 Okotie, who is the President of Fresh Democratic Party said his mandate this time was to set up an interim government, which he had named “Government of National Reconciliation and Reconstruction,” that would birth a new Nigeria.